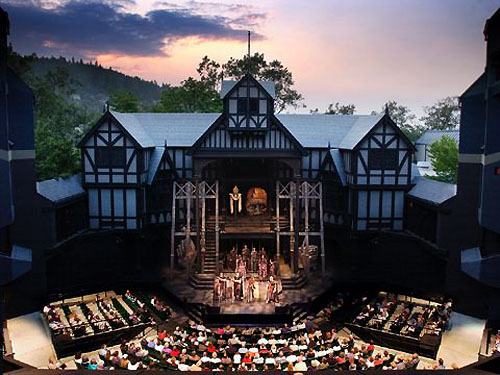 The Elizabethan theatre was a very popular source of entertainment in the sixteenth and seventeenth century. 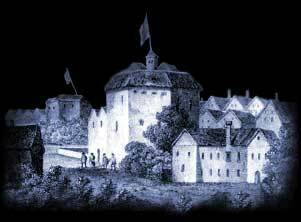 Elizabeth enjoyed the theatre, patronized it, and attended some of Shakespeare’s plays as well. It was her majesty that the English theatre even after facing hardships was able to establish itself thus the era of Queen Elizabeth was considered to be the ‘Golden Period’ of English theatre. The English theatre was condemned, considered sacrilegious and disgraceful as the male actors used to dress as females. A lot of un-fateful events such as accidents and floods etc. took place which gave birth to the theologies of these events being omens of the wrath of heaven against the play-acting profession, and arguments for its extermination. When it came to light that play- acting was used for teaching the lessons of Christianity, it was said that it is popish to teach lessons of Christianity by plays. After the death of Queen Elizabeth theatre received a heavy blow as the privilege of licensing and protecting them was gradually withdrawn from the nobles and taken over by the king and hence, a lot of political issues also popped up which in general affected the theatre grievously. It was in this Golden era that the most famous theatres like Fortune Theatre, Globe Theatre, Hope Theatre, Rose Theatre, Swan Theatre along with some other were built. There were three different types of venues in that era for Elizabethan plays: Inn-yards, Open air Amphitheatres and Playhouses. The Amphitheatres were generally used during summers and then the Acting Troupes moved to the indoor playhouses during winters. All the public theatres were three stories high and built around a large stage area centred in the middle. The three levels of seats were surrounded by the audience on three sides. The back of the stage was reserved for entering and exiting the stage, seating for the actors and performers. It was also a place for musicians to be placed. These theatres were built primarily of wood and very susceptible to fires. Actors in the Elizabethan theatre worked in groups and enjoyed the position the same status as that enjoyed by a nobleman. These groups received special treatment from the queen often in form of penny. In summers, when plague outbreaks occurred, these groups were forced to other places out of London as Norwich, Coventry, Gloucester and many other towns throughout England. Wardrobe played an important role in that era as the use of props was not much appreciated but few key scenes demanded use of bed-tables etc. The male and the actors playing the female role used to dress in lavish velvet clothes. 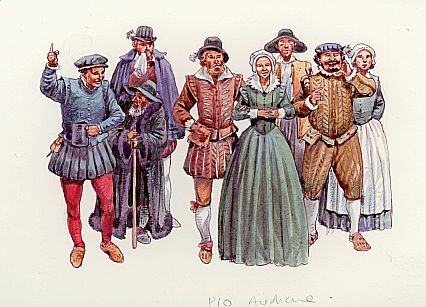 Lead actors, however were expected to provide for their own costumes.All the theatres were pulled down by the end on the seventeenth century until in 1989. The Globe was rebuilt and inaugurated by Queen Elizabeth II in 1997.